In a sprinkle of glitter and the twinkle of a star, Christmas has passed for another year. Your guests have departed, the tree has shed its last needle and the final minced pie devoured. You and your home may be heaving a collective sigh of relief after all the festivities, so now is the perfect time of year to sweep away the glitter, dust down the mantelpiece and bring in some freshness and clarity to your interiors. William Morris once said “Have nothing your house that you do not know to be useful or believe to be beautiful.” Many interior designers may exhort you on the benefits of employing all manner of expensive professionals to fix this, or clean that but I believe that with a few stylish accessories in hand, some elegant storage solutions and a bit of elbow grease you can work off some Christmas excess and welcome in the New Year with a clean slate. Having a range of lovely tools to hand with which to do your Spring cleaning will make the task a little more enjoyable. Garden Trading www.gardentrading.co.uk supply a wonderful range of utility products which add style to your sweeping. 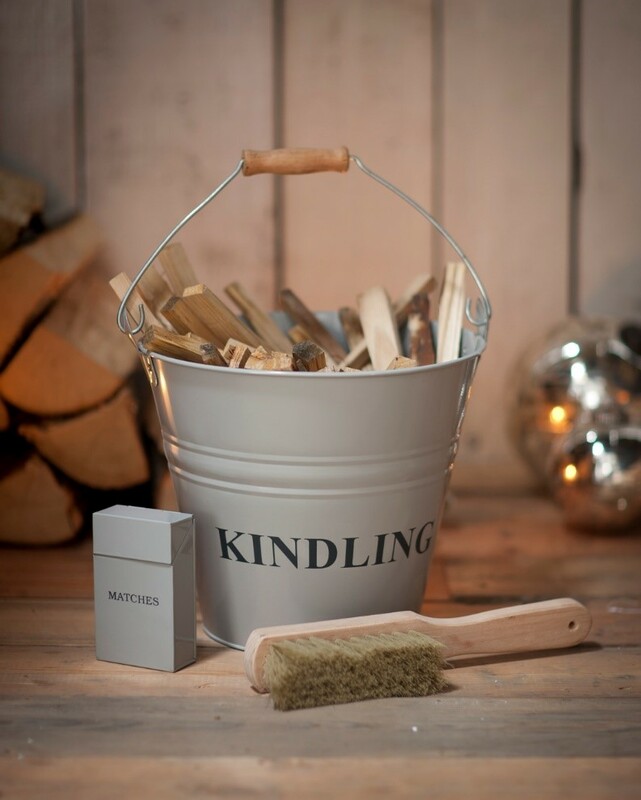 Their Fireside set in Clay, £28.00 is a lovely but practical fireside accessory which will help you to clean away the ashes of your festive fires and keep the flames burning through the dark winter months. 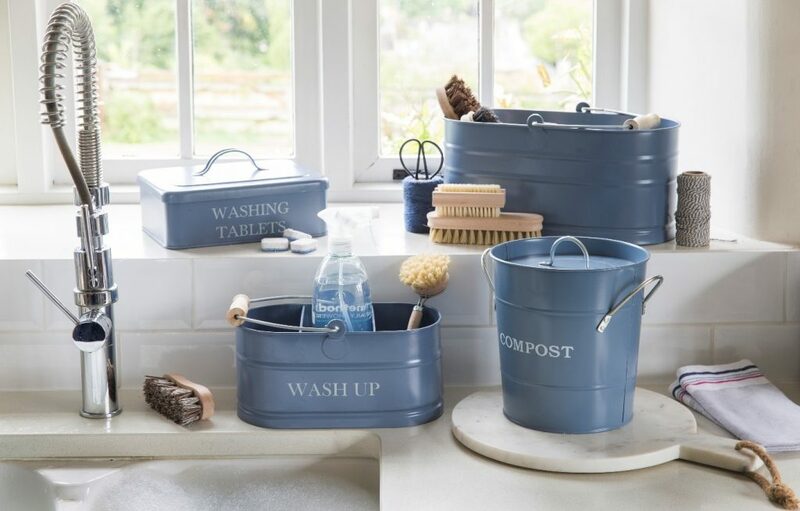 They are soon to launch new range of utility buckets and trugs in the aptly named Dorset Blue which are practical but attractive, and can store all manner of cloths, brushes and cleaning products. The Croft range by John Lewis also has a lovely collection of utility tools and products, such as their Apple Blossom multi-surface cleaning spray, 500ml, £5 which not only has a clean, fresh fragrance and leaves surfaces sparkling, but the bottle provides an attractive addition to your kitchen space. For your laundry how about a new basket from Neptune www.Neptune.com? Their Ashcroft range is made from hard wearing natural rattan and would be a stylish but discrete addition to your laundry routine. The other baskets in the collection would look wonderful by your front door and are a great place to keep your keys, sunglasses, dog leads and other such hallway paraphernalia. So dust down the dining room and sweep away the seasonal excess. With accessories like these you would know them to be useful and believe them to be beautiful!